Dragonfly Jute Tote - Made from 100% earth friendly Jute and AZO free dyes. Reinforced stitching for extra strength and years of use. 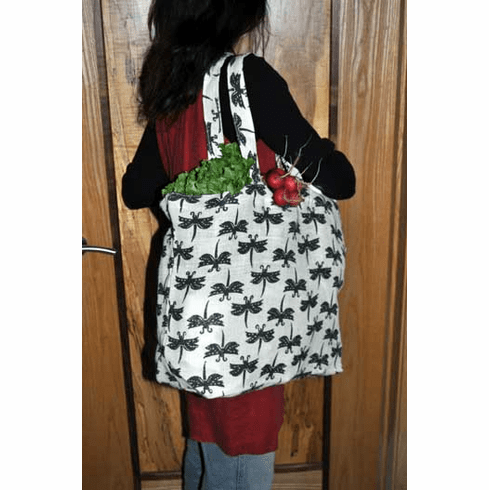 Great for groceries or as an overnight bag. Large capacity at 20" wide, 14" high and 6" deep. Made in India.